Colombia’s extraordinarily chaotic legislative elections became an unexpected success for former Vice-President German Vargas, whose election race had been stained by corruption allegations. Vargas’ Radical Change party swept some 13.7% of the votes for the senate compared to 8.6% in 2014. In the House, Vargas’ support went from 6.5% to 14.1%. The hard-right Democratic Center party of ex-president Alvaro Uribe lost slightly in the senate, but became the biggest party in the chamber. In the House, the political party expanded its share from 11.6% to 16.2%. The Liberal Party remained the biggest party in the House, but lost in the Senate. Other parties belonging to President Juan Manuel Santos‘ coalition lost big. The anti-corruption Green Party also made major gains, particularly in the Senate where it went from 4.8% to 8.8%. Vargas’ campaign has been accused of widespread election fraud throughout the election race. More than 2.5 million signatures the former VP collected for the registration of his candidacy were rejected. Also the Uribe campaign has been exposed for buying votes. The public discontent over the corruption that has devastated Colombia’s political system for decades spurred the rise of the Green Party ahead of the legislative elections. Electoral observers who had registered more than 200 election fraud incidents ahead of the elections said that electoral authorities had failed to install electoral tribunals in charge of investigating fraud. The National Registry came further under attack after ballots for primary elections also held on Sunday ran out and election officials had to photocopy ballots to allow people to vote. With the exception of Vargas, Sunday’s election result promise little good for the coming four years. If Uribe’s conservative candidate Ivan Duque wins, he would need a coalition of at least four parties for a governing majority. 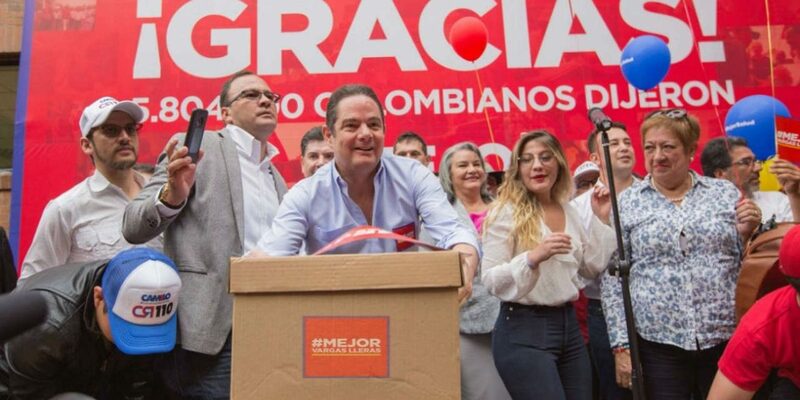 A possible victory of the leftist anti-corruption candidate Gustavo Petro would force the leftist to govern with a largely conservative and corrupt Congress.